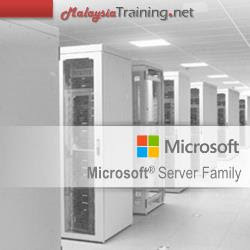 This technical workshop is designed specifically for individual working with SMB customers to build solutions using the latest products and technologies from Microsoft. Register before 04 Mar 2019 for only RM1,390 per person. Register before 15 Jul 2019 for only RM1,390 per person. Get the real hands-on experience with real live expert. With a focus on building real-world solutions, this Windows Server 2012 R2 technical workshop consists of presentations, demos, and hands-on labs. Get the skills you need to build real-world SMB solutions: Designed to help you prepare for the new and improved Midmarket Competency. Implement the cloud computing model that best meets the needs of your business. Understand Cloud OS-Windows Server, System Center, and Windows Azure-delivers that kind of choice to customers.